Did Activision Tell Nintendo To Make The Wii U Pro Controller Look The Way It Is? According to Michael Pachter… the reason why the Wii U Pro Controller looks like an Xbox 360 controller is because companies like Activision would not bring over certain games if Nintendo didn’t have a conventional controller. This is mainly in regards to First-Person Shooters. Now I know what you’re thinking, “Pachter? Really?” I know, I know. 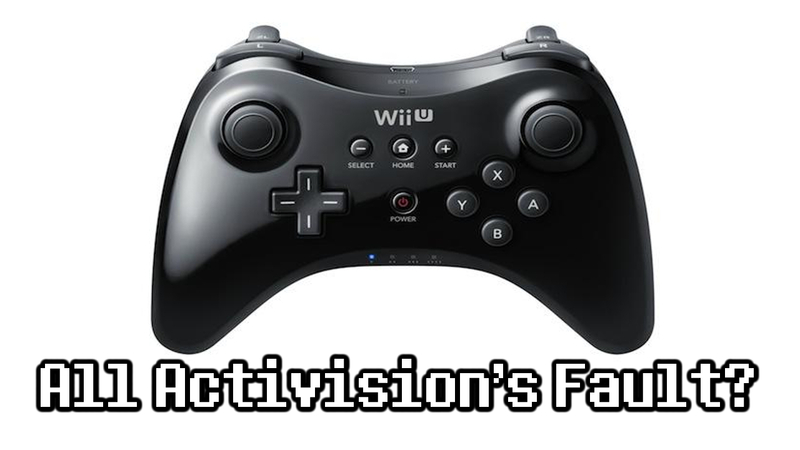 But to put things into perspective, we haven’t heard much from companies like Activision on the Wii U. Not that Nintendo needs anyone of that ilk, but they do bring in a great deal of that gamer cash, and console makers do get some piece of that pie. But if this is true and this is what companies considered “conventional,” then is show how safe and scared of change these companies are. Now if you excuse me, I must pay a visit to my Super Scope memorial. This entry was posted in Gaming News and tagged activision, Michael Pachter, nintendo, wii u, Wii U Pro Controller on July 20, 2012 by Steven T.. I heard after some backlash he revised his statement regarding Activision pushing Nintendo to make the controller. Originally he made it sound like he heard it from someone within but the following day he restated that it’s personal opinion that the controller was made for that reason. Apparently he claimed the CEO of EA was gonna be canned 2 days ago and that didn’t take place either. He’s just speculating all this crap.